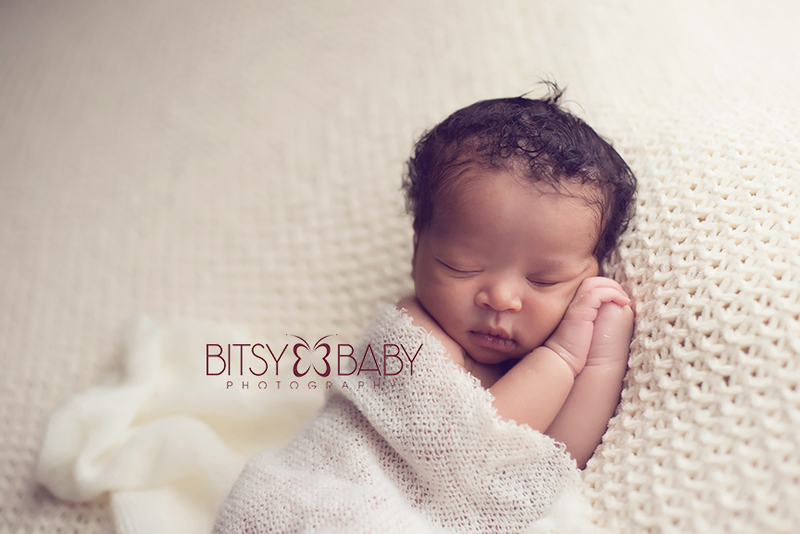 Bitsy Baby Photography is looking for a family that recently gave birth to their first baby! 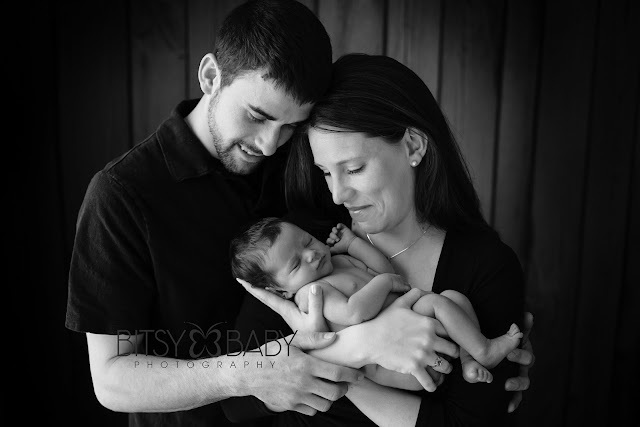 Are you a new mom or do you know someone that just had a baby? Your family must be available on Saturday, August 24, 2013 around 2:00 pm. Your home is in the Annapolis area. This is your first child. Your home must be well lit and spacious. There needs to be a dedicated nursery for the baby. This is a COMPLIMENTARY in-home session. There is no session fee or location fee, a value of $275 waived. No purchase necessary and no purchase minimum. 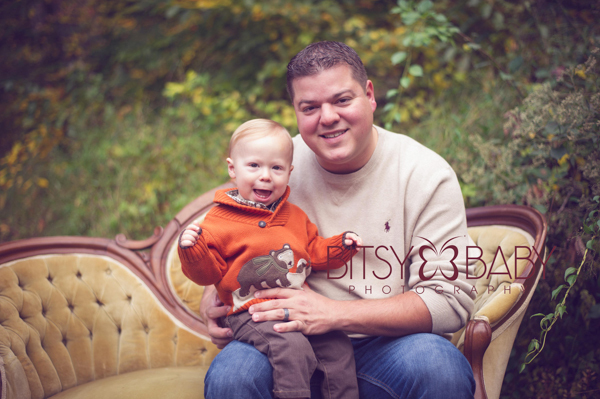 We offer the digital collection at a discounted rate or prints via your session gallery, starting at only $7. 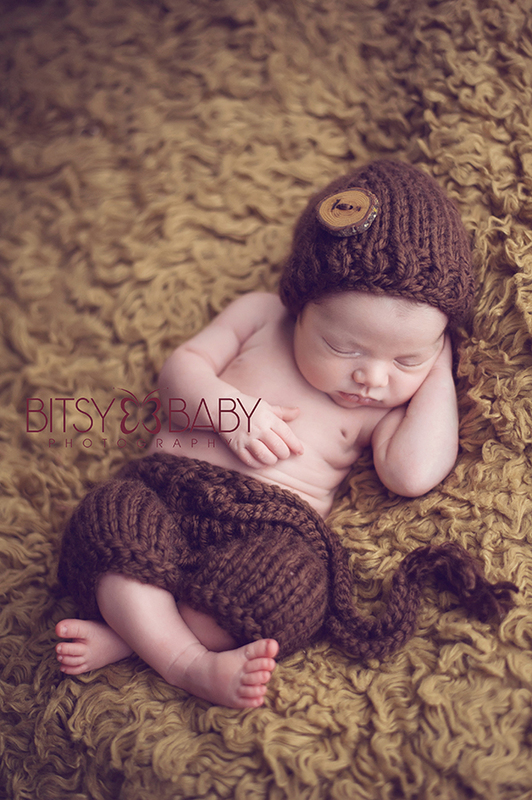 Please send an email to erin@bitsybaby.com to inquire. Csilla P. is a Los Angeles wife and mother that started Design by C in her home. She wanted to figure out what she could do for extra income to supplement her family finances while still being able to care for her son. Csilla learned how to knit when she was a young girl and recently decided to pursue her passion for it. Most of her items are designed by her. She is also juggling her studies while caring for her seven year old son and creating beautiful products for Design by C.
We have had the pleasure of using this beautiful chunky knit set below and absolutely loved it. It was easy to use and stretchy enough to get on a newborn, ease of use is a huge part of a newborn product in our opinion! In fact we loved her product so much we are hosting a give-away and have thrown in a $175 Gift Certificate to our Learning Tools Store! Please see our list of products available HERE. Then be sure and enter to win below!! 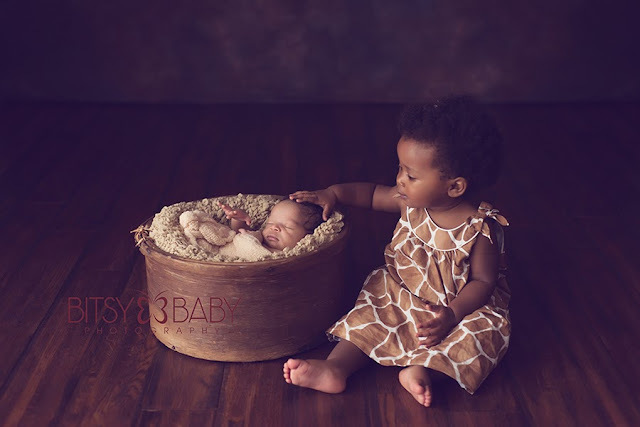 We take the safety of our babies and clients as the highest priority in the studio, even above capturing requested and amazing portraits...babies must be safe, period. Here are ten safety tips we have picked up from our experience working primarily with newborns. 1. Keep it clean. Wash your hands thoroughly as soon as you get into the studio or to the client's home to avoid bringing in any germies from your children or the outside world. Often times this is baby's first trip away from home and they shouldn't be getting sick on your watch. Also be sure to keep all materials clean and sanitized as well as sanitizing your own hands between cleaning up the hineys to rubbing that sweet head to put them to sleep. 2. Always spot in props. Newborns can push themselves off a prop faster than you can imagine, an accident has never happened to us but there have been many times where if it wasn't for our spotters hands it certainly would have. We aren't being dramatic here and this job may sound easy, "ok I can hold my hands out to catch baby" but it actually entails not taking your eyes off that baby at all while on a prop....not even a second. You may be chatting with the Mom as she exclaims how mightily adorable that image is going to be but while smiling and responding to her you must have all concentration focused on spotting that baby, hands ready to catch him if he froggies up or log rolls out to rescue them to safety. They may be in a deep slumber even but as quickly as you look the other direction to grab the beanie hat they can startle and move. We recommend if you need to look away, even for a second and you do not have an assistant or parent close to help, put your hand on the baby so you can watch him with your hands. 3. Belly button smelly button. Come on if you shoot newborns you likely have smelled a belly button before right haha. Ok so I'm not a comedian but I lol'd at that one. 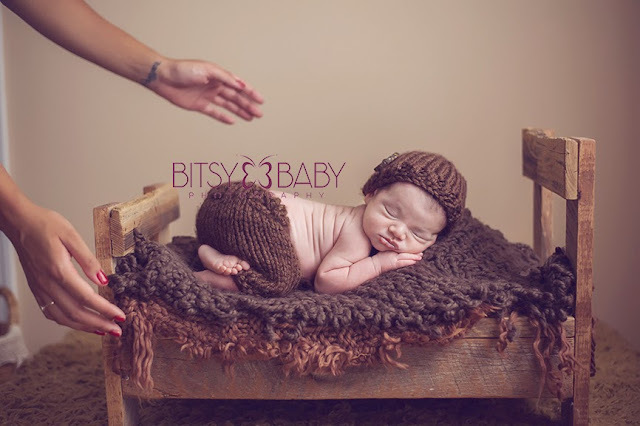 So there is a popular type of newborn wrap used recently and it is very stretchy with tiny holes in it. When you are wrapping a baby up make note of the belly button and remember to go slow when unwrapping that last layer to be certain it isn't stuck on their button. If the corners of the belly button are sharp or pointy then put a small cloth between the wrap so it doesn't get hung up. For some babies that have larger belly buttons still we may even go for minimal tummy poses to eliminate a lot of pressure being put on it. There have been times babies have lost their buttons in the studio, it was already loose and literally that milestone came while having their portraits done, score right. Wait, don't toss it out just yet, inform the parents immediately if this happens, they are usually excited and some even want to keep it. 4. Heating it up. Most electric heaters have warning signs not to use an extension cord because this can cause the plug to overheat. If you do need to use an extension cord keep the actual plug part where it attaches to the extension cord somewhere where it will not overheat and off carpet. We keep ours underneath the small stool the heater rests on top of on hardwood floor. We can see it, nobody will step on it and burn themselves, and it stays in open air to avoid it overheating. We do a check of it a couple times in the session too just to confirm it isn't melting if it's a longer session than typical. Then also use a heater that has a fan to blow the warm air out. One rule with your heater should be if it were to tip over and fall will it hit the baby? If the answer is yes then it's too close to the baby. We also suggest using a heater that displays the temperature on it, we usually keep it between 80-85 degrees. 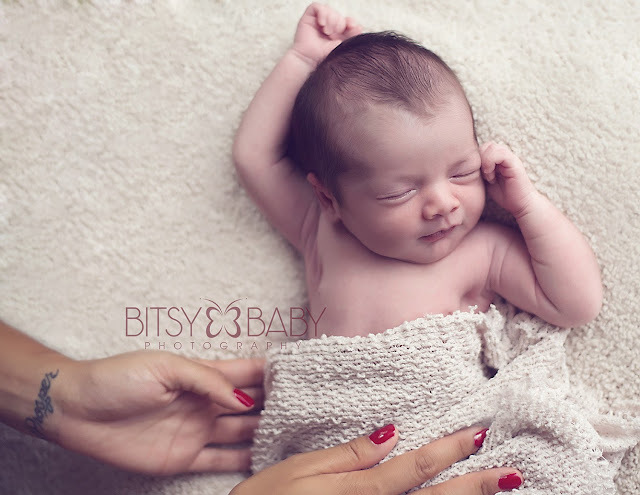 For a bare newborn unable to regulate their body temperature they need this atmosphere to stay comfortable, however, you must also watch them closely to be sure they are not overheating. Signs of overheating are extreme red skin, difficulty breathing and sweating. If it is humid baby's skin will become moist but they should never be profusely sweating. Then during the summer months you can click off the heater when baby is wrapped or swaddled to avoid overheating the baby. Overheating babies can be a cause for SIDS so it's very important to also inform parents that it's not necessary to warm their nursery to 80 degrees when baby is clothed and likely swaddled. We have had parents joke with us about this so we always stay on the safe side and mention this in every session. 5. Make some space. Always keep the areas where you and your clients need to walk open and available to avoid trips and falls. Especially in a client's home where you aren't familiar with the areas, take a look ahead if you need to carry the baby at any point and do a floor check ensuring nothing is going to be in your way. Move anything that needs moving and make extra space before you pick up the baby. 6. You know what you know. Do not feel pressured into doing a pose or photography style you aren't prepared to do when clients make requests. We have had clients bring in examples of other photographer's work asking us to do a specific pose. If it isn't something we already have in our portfolio and have experience doing we will not do it, especially if it's an unsafe pose or position for baby to be in. Politely let the client know why you can not oblige and give them an alternate option. They trust your professionalism and skill or they wouldn't be there with you so stay in control of your work. The most popular poses in our studio are the simple timeless ones. 7. Count the toes! We count the toes and fingers after each session as a way to check closely for knits or threading that may have become wrapped around them. This stuff can be tiny and almost invisible to the eye but you want to be sure there is nothing wrapped around any of their digits at any time. Do a check after your session is complete again, we also mention to the parents as we are handing their baby back to them to check their fingers and toes again to ensure we didn't miss any threads on a tiny toe or finger. If something like this remains wrapped around a digit long enough it can cause great damage. 8. Is he circumcised? Whaaaaa you may say, where'd that come from?! Yes this may sound personal but we want to know how long it's been if baby boy has been circumcised. This should be healed well prior to the session to avoid infection and discomfort of baby during posing and working with him. 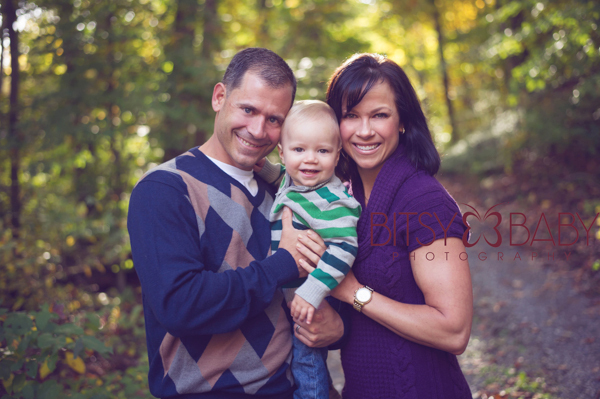 We usually shoot for 5 days post procedure at the earliest to schedule their session. If they come in and they still have jellied gauze applied we ask if they prefer us to leave it on or if it is ok to take it off. We never touch the circumcision with our hands, if little Mr needs a new application of vaseline we use a qtip provided by the parents or have the parent do this. It helps to avoid any chance that you will cause it to become infected. The health of all parts of the babies is of the utmost importance in the studio. 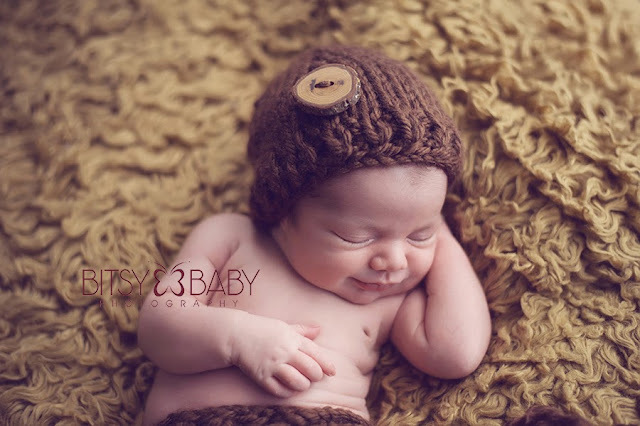 There have been times where parents schedule the circumcision at a later date, when this is the case they can typically bring baby in prior to this event so there are no worries at the session and baby is still in the newborn stage. If you don't ask at booking they likely wouldn't bring this piece of information up, so go ahead and ask but let them know why. 9. Hire an assistant. This steps up your business a notch above those that do not have one, giving you an extra set of eyes and extra pair of hands to assure baby is safe and kept comfortable every moment and never unattended. We always have another's eyes on newborns so that no-one is ever alone with the baby, baby is breathing well, not spitting up, and even be sure they do not flail and scratch their face between shots--ouch. Then there are times when you need to work on the technicals of the camera, prepare a new setup, change out a soiled blanket, or grab a paci and having someone there to help with these tasks can be monumental. When we hired an assistant full time our session time improved from about 4 hours to less than 2 so that's an added bonus. 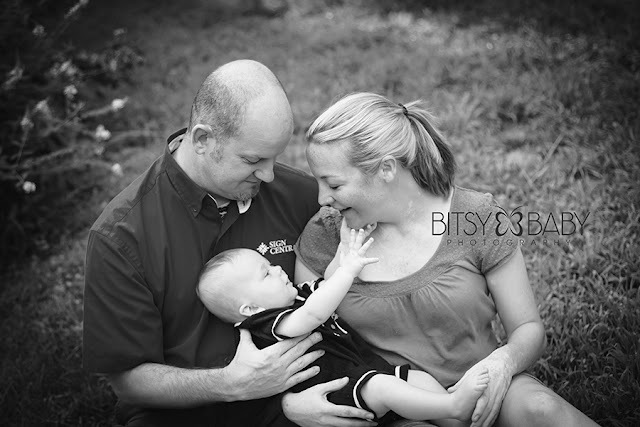 You can always trade assisting with another photographer you may know closely or have a patient friend help you out. Yes I know the parents are there and are often eager to help but sometimes they can be a distraction or arousal for the baby when too close. Honestly you don't want your clients to have to do any of the work for their portraits which they are paying you to create. You want them to sit back, relax, and watch you take care of things safely! 10. Be insured and incorporated! If all else fails you need the assurance any business related accident wouldn't crush your personal life too. Actually, you don't have to fully Incorporate, obtaining an LLC separates your personal assets from your business. In the event of an accident, yes your business may be done, but you will still have your home. All professional photographers should also carry liability insurance to cover any clients claims as well as equipment coverage for theft and damage. Yes these are big "what if's"...... but what if!? 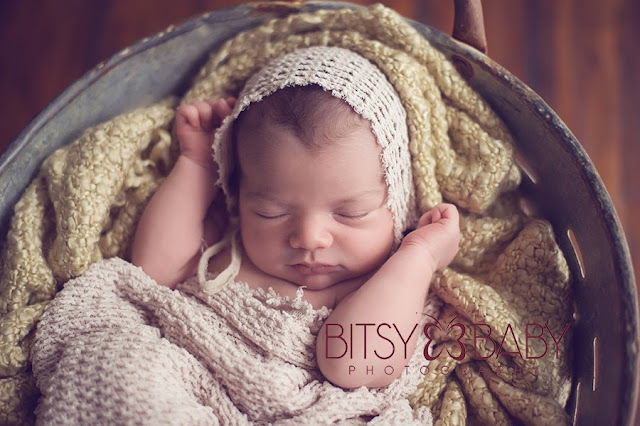 To find more photography tips and Bitsy Baby news connect with us via the e-Newsletter HERE. 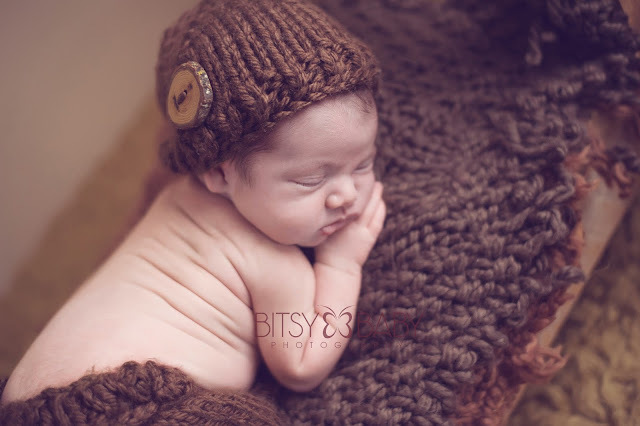 Bitsy Baby Photography, LLC offers professional baby photography, infant portraits, baby's first year packages, maternity photography, maternity and baby photography packages. Founder Rita Lawrence has grown her business from a one-man-show to now having the help of several professionals trained and running the business smoothly. Our newborn photographer Shannon photographs at the studio serving Annapolis MD, Baltimore MD, Edgewater MD, Washington DC. 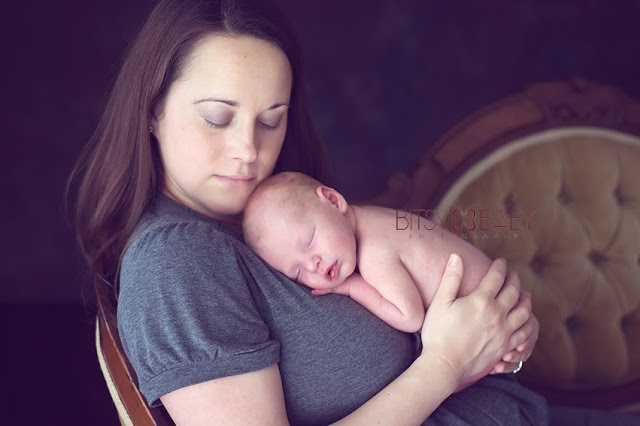 Rita is now taking limited newborn photography clients in Northern Virginia, Virginia Beach VA, Suffolk Virginia, Portsmouth, Norfolk VA, Newport News Virginia, and near areas. Photography mentoring and a variety of teaching tools are available to photographers. Group parent's photography workshops are also offered for the amateur photo enthusiast wishing to improve their day to day portraits at home. Inquire if you are interested in hosting a group workshop for your friends to meet and learn together with Rita. 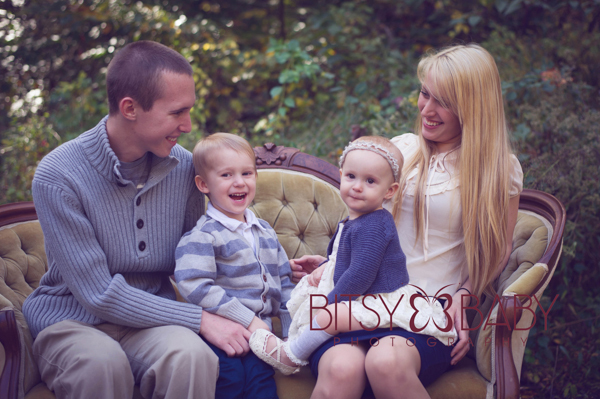 Bitsy Baby Photography - Customer Relationship Specialist, Erin! 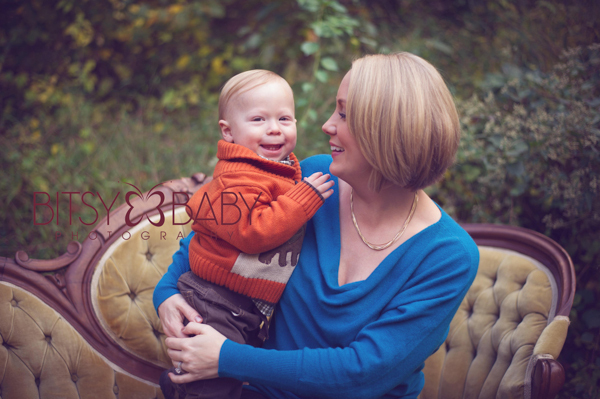 Erin is a Maryland born and raised mom to a 14 month old darling boy who we in fact met last year for his newborn portraits. 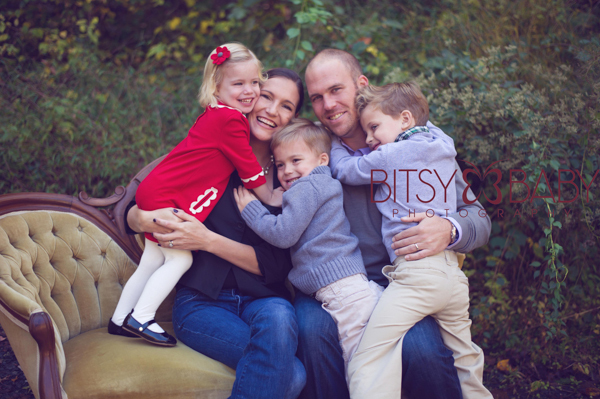 After being a nanny for nine years, she is studying marketing now while also caring for her son and working with Bitsy Baby Photography. 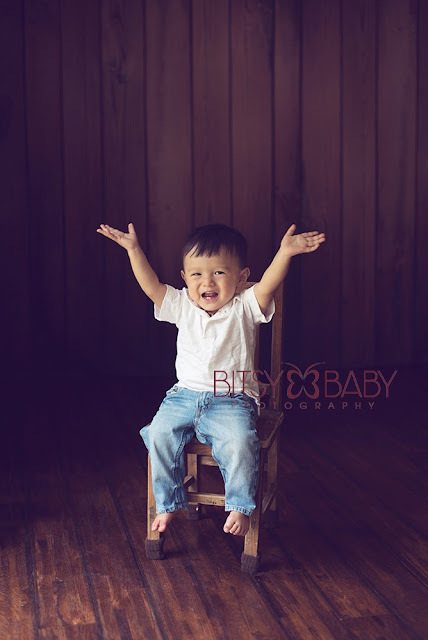 Her friendly and outgoing personality greets each client and takes them step by step through the process for having professional baby portraits taken with us. Erin's title and main focus is Customer Relationship Specialist, keeping all clients' experiences positive and professional. Erin's experience and joy for working with young ones has helped move her into actual sessions now as well. 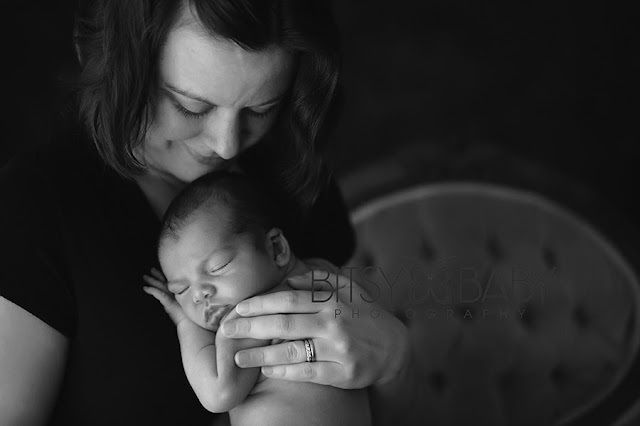 She works hand in hand with our studio photographer in preparing for sessions, soothing babies, and ensuring parents and family are comfortable during their session. 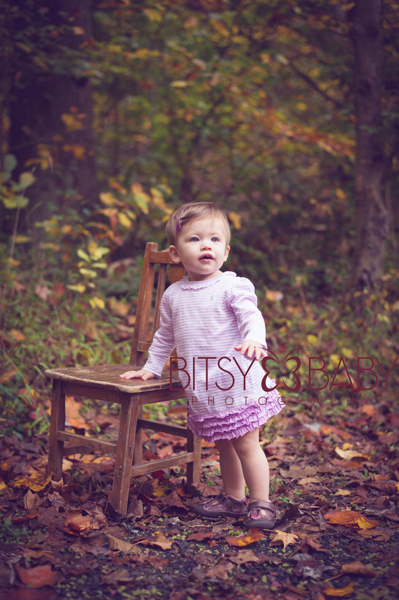 She has been a treasure to us at Bitsy Baby Photography. 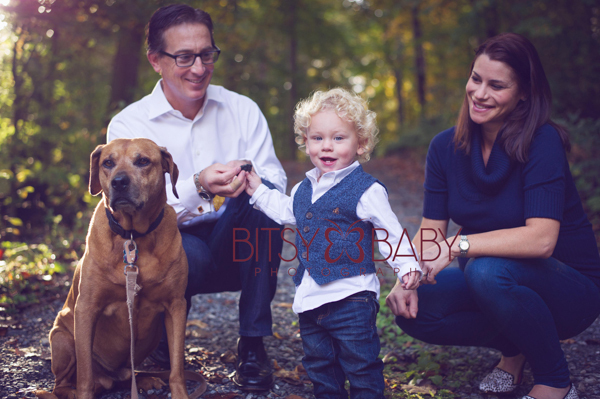 We are thankful to have crossed paths with her over a year ago and to now have her as an integral part of the Bitsy Baby team! 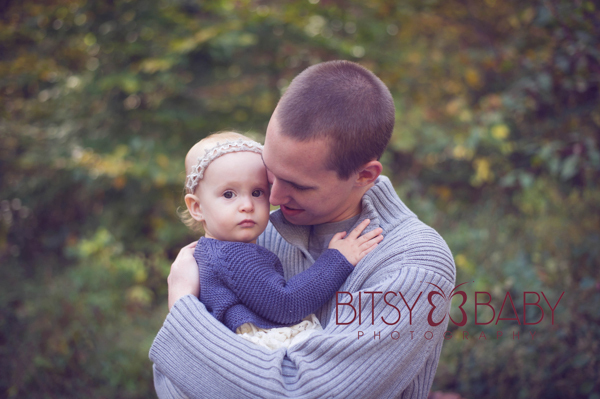 Here are a few images with her little Mr at the studio! Aston was fast asleep when he arrived at our studio after a one hour drive. He let us get a few poses in before he was wide awake. He needed to stretch his little legs and arms. 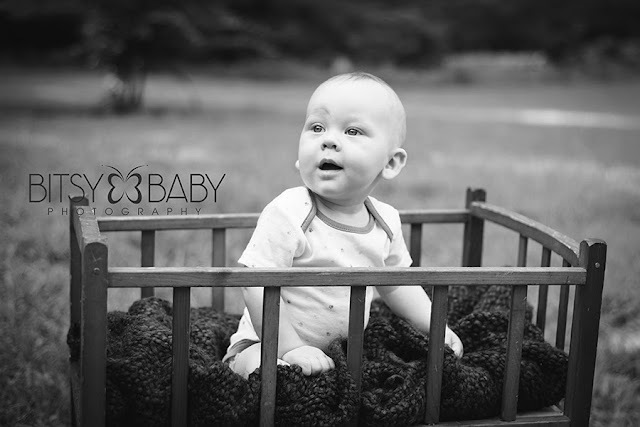 Our team couldn't help but swoon over how curious and active he was for just 9 days old! 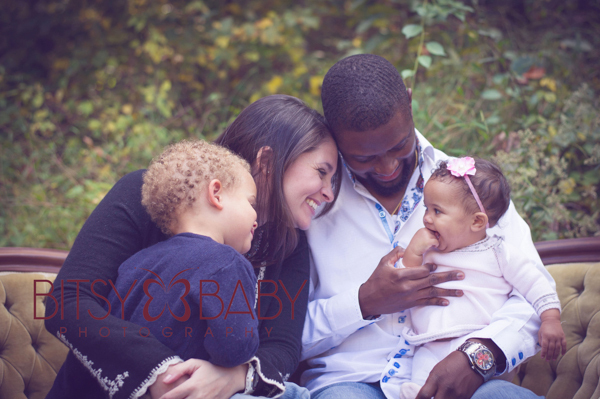 His sister came in for her newborn session almost one year ago so it was certainly a joy seeing Aston's family again. He was so excited he didn't want to miss our reunion that day. We sang songs and danced a little with Aston's sister. He must have thought we had the sillies! 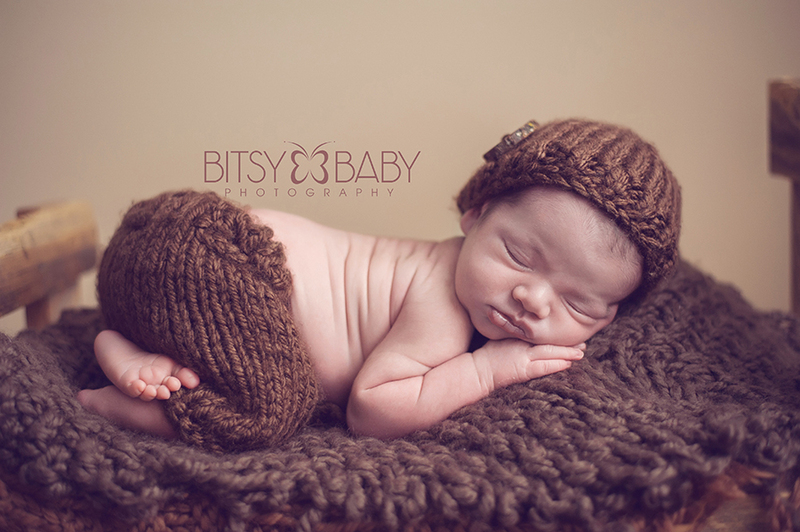 After some family and sibling pictures, Aston felt a little tired and decided to take a nap. 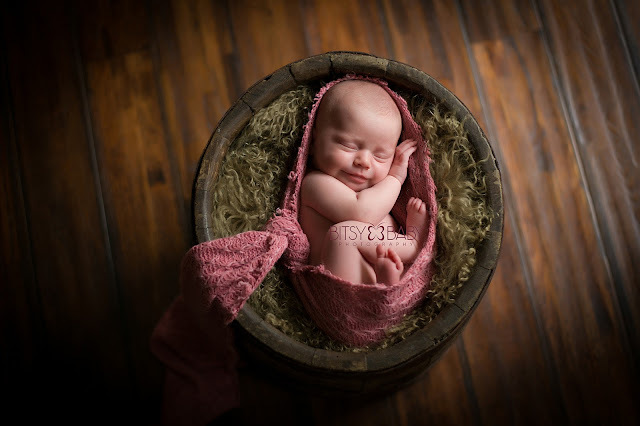 More baby poses and props were in progress! He was an angel and so easy to work with. We cannot wait to see his beautiful family again. 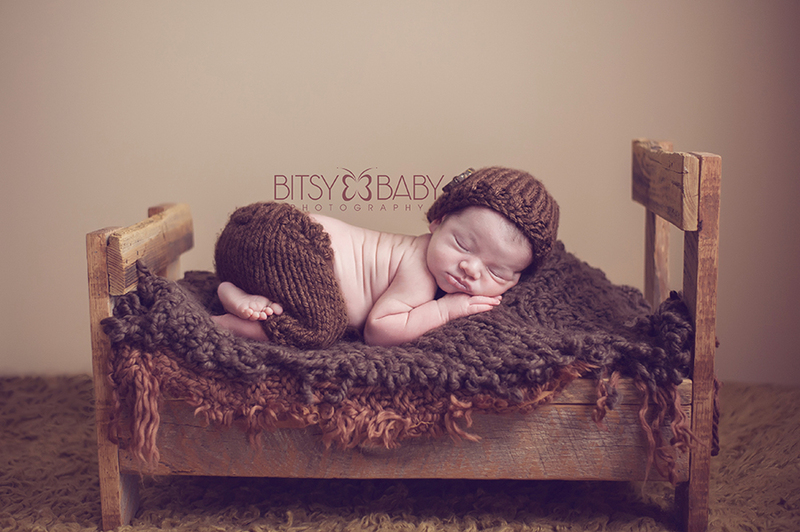 Baby Leon and his parents came to visit us at our studio for his newborn portrait session recently. He sure was a sleepy baby! 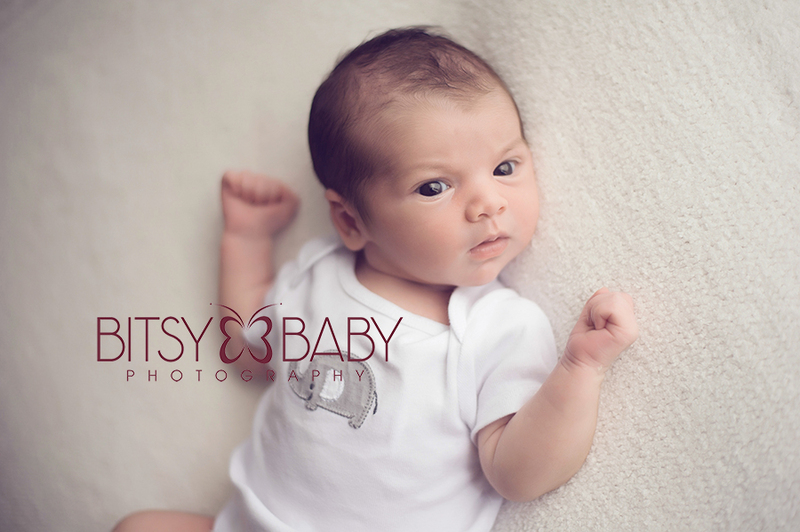 Mom and dad expected him to drink some milk about an hour into his session but he stayed sleepy for quite a bit. Little Leon was so comfortable in the studio, he hardly made a peep. Finally, after he was dressed and ready to head home he showed us his peepers; look at the beautiful shot we caught of him wide awake! 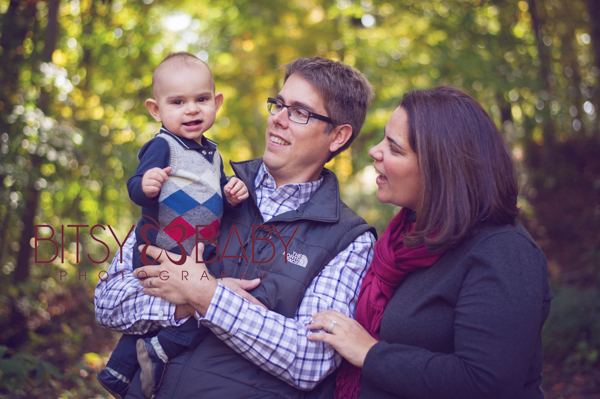 Professional Baby Photographer Opening in the Maryland DC area! Our ideal applicants would have a love for babies and children with the utmost skill of patience. We ask for an established technical and photography background. Candidates must own professional level equipment such as the Canon Mark II or Nikon D800 level of camera and have the knowledge to work in manual mode as well as use the Kelvin white balance setting. ***When inquiring please send the link to recent examples of your work, we need to see several complete sessions working with babies and/or families. This is a must, applicants applying without example galleries can not be considered. Current photography business owners will also be considered. Please contact us at HERE for more details on this position, pay offer, and start date. 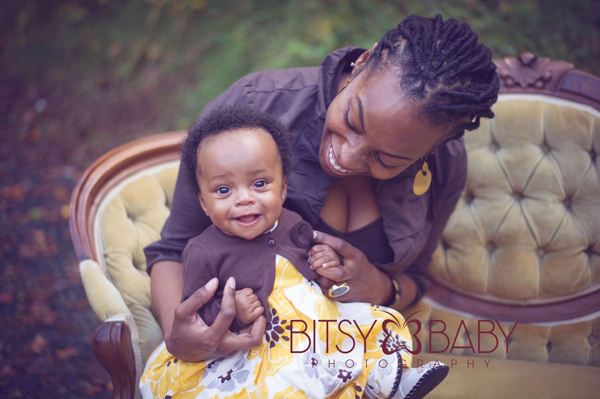 Bitsy Baby Photography is currently hosting a unique limited time special for Baltimore, MD in-home and on-location sessions! The location fee for Baltimore, MD is being waived for the month of August 2013. Sessions must be reserved in the month of August, but they can be used for a later date. 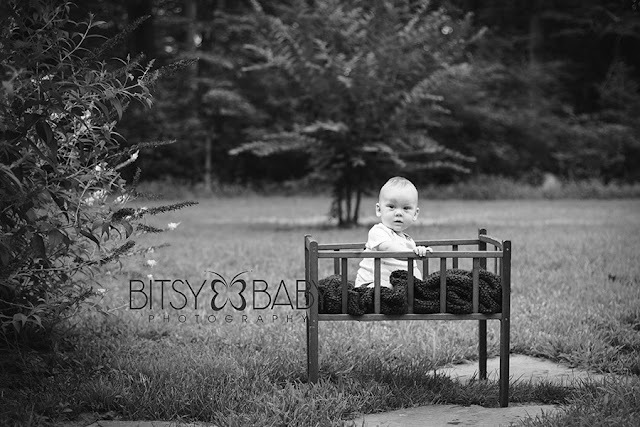 Baby milestones include the sitting stage, standing stage and all time Baby's First Birthday Portraits are popular types of location and in home photography sessions. 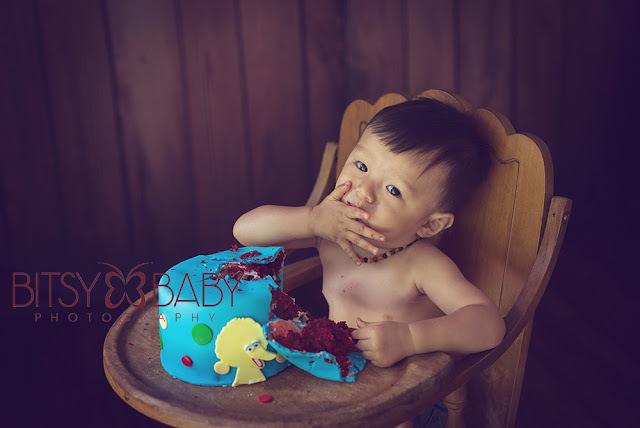 When it comes to kid photographs, nothing is better than some great action shots. 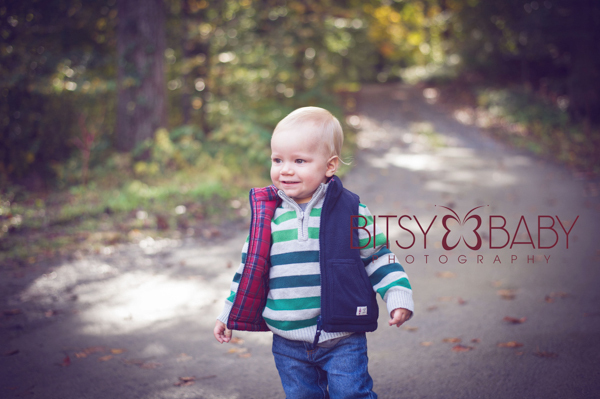 At Bitsy Baby, we love capturing kids in the midst of their playtime, and summer is the perfect time of year to get some great pictures. 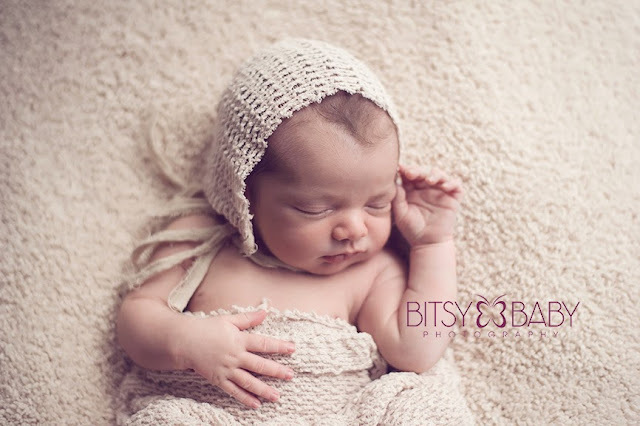 If you've been lacking in the picture taking department, and you'd like to hand the reigns over to professional photographers who know exactly what to look for, Bitsy Baby is perfect for you and your family. There's absolutely nothing like getting pictures of kids that show them in the environment they love most - the great outdoors! Whether your house is set in the country, or you're located in the city, chances are that your kids enjoy playing outside. Are your kids known as the ones who put together all of your neighborhood's kickball games? Do they enjoy playing in the hose on a sunny day to cool down? The possibilities are endless, and we love capturing the pure joy on their faces when they are doing what they love to do best, no matter what the activity may be. 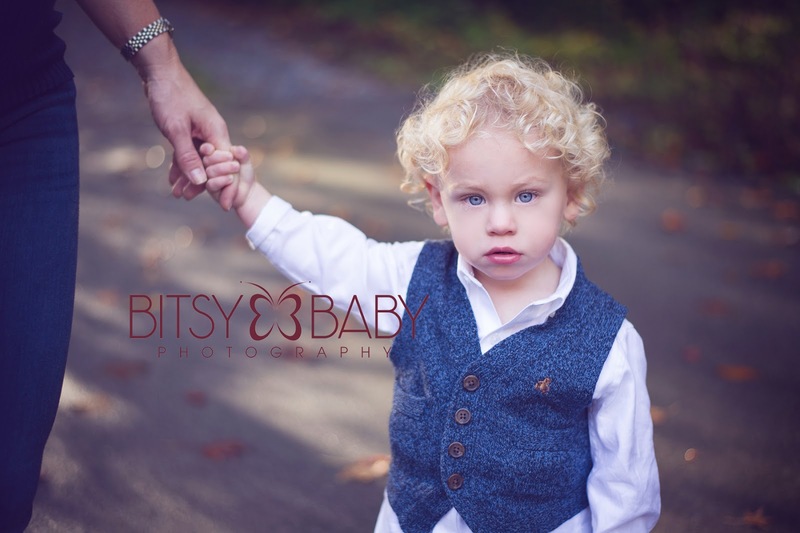 Whether your kids are playing together or you simply want beautifully posed pictures, sibling portraits are an absolute must for any family photo session. Some of our clients like to plan ahead and buy matching shirts for the kids to wear while we photograph them outside against a natural backdrop. 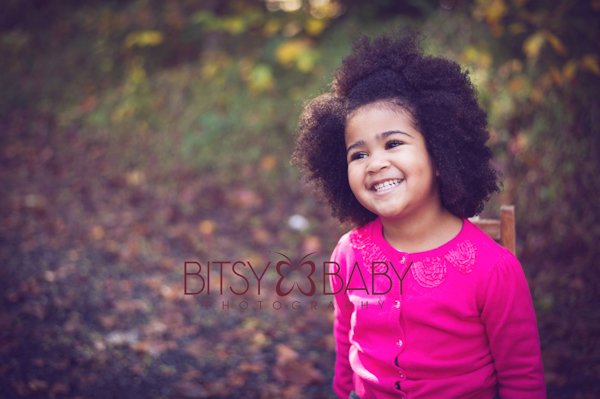 Other clients enjoy the fun pictures of their kids playing together, laughing and being silly. No matter what your preference is, we'll capture these amazing moments, so you'll have them to remember for years to come. Once school starts, you'll be seeing those school picture papers sent home, encouraging you to have your kids' pictures taken. If you've ever had the school photographer take their pictures before, you know that it's really anyone's guess as far as what type of pictures you're going to end up with. Needless to say, we've seen some interesting school pictures! Instead of paying someone to take your kids' pictures in assembly line style without the desired quality, why not invest in those yearly photographs now? You'll have a lot more control over the type of background and style that's used, and you'll be able to get some great shots to choose from. We'll make sure your kids' photographs are absolutely perfect, so you won't have to worry about grainy or overly posed photos. This is the perfect time of year to get those kid photographs taken. Take advantage of this time before your little ones get immersed in school again, and before the holidays come and you're too busy. 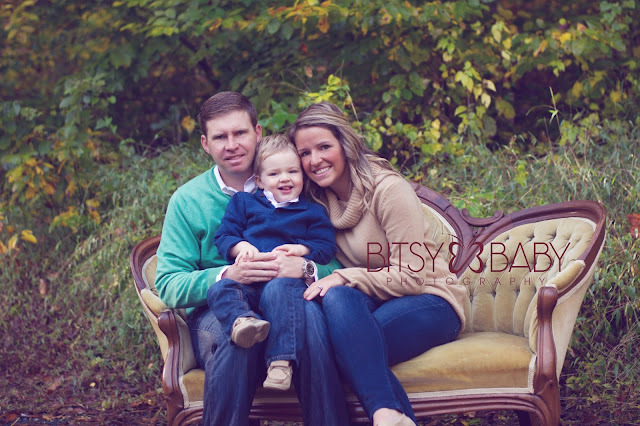 You'll love the work that Bitsy Baby puts into your kid photographs, so contact us today to schedule your appointment.